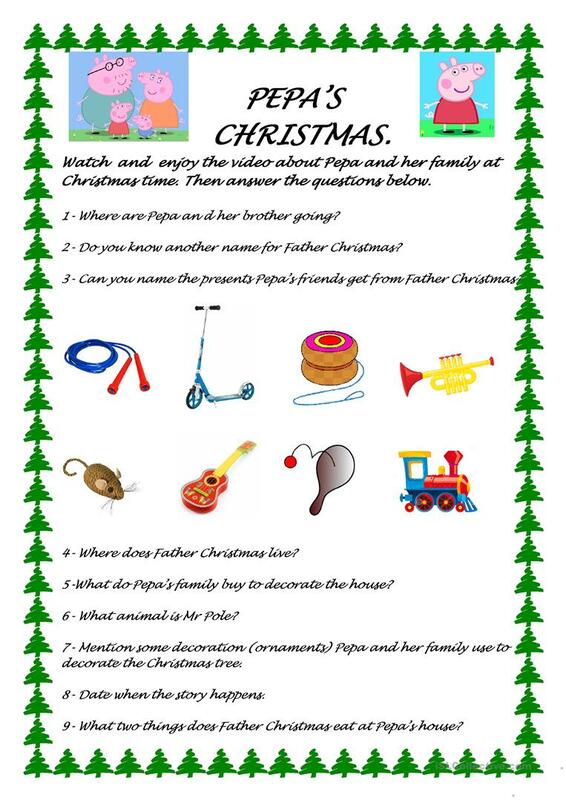 A video activity to practise Christmas vocabulary. You can download the video from YouTube and do the activity in the classroom. It is very motivating for ESL students because it is quite easy to understand as they are watching cartoons they like. The present printable, downloadable handout is best suited for high school students and elementary school students at Beginner (pre-A1), Elementary (A1) and Pre-intermediate (A2) level. It is useful for enhancing your students' Listening skills. It focuses on the topic and words of Christmas. beg is from/lives in Spain and has been a member of iSLCollective since 2011-09-14 00:38:20. beg last logged in on 2019-04-11 19:05:56, and has shared 3 resources on iSLCollective so far.